With the development of automobile technology and highway, the speed of fiberglass cars is increasing day by day. The aerodynamic drag on the interaction of the fiberglass car bodies with the air is also becoming more and more significant. This affects the economical efficiency, power performance and stability of the fiberglass car to a great extent. 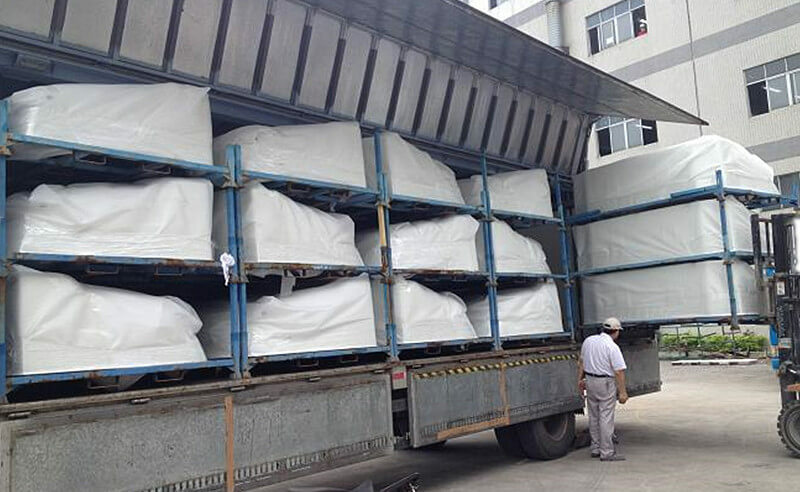 In 2008, GAC Hino Motors Co., Ltd and we have jointly developed fiberglass car bodies of fairing. Those fiberglass fairings are at the top of the car, and we produce them with environmental protection and efficiency. The fairing fiberglass can improve the aerodynamic performance of the car. We know how to fiberglass a car body and how to make fiberglass fairings. In this research and development, we have taken many measures to improve the efficiency of automobile production of fiberglass. What’s more, we reduce fuel consumption and improve its operational performance. It appears to be particularly important for special purpose motor vehicles such as combination vehicle and van semi-trailer. Their windward area is very large, driving speed is fast and flow linear on the whole is poor. Therefore, in general, special carbon fiber cars and trains on the highway are equipped with carbon fiber fairings. In 2009, the first heavy truck of GAC Hino Motors Co., Ltd in the Chinese market went off line. It means that they begin to explore the Chinese market. The use of fiberglass fairings has made contribution to green freight. And it also puts forward new ideas and FRP solutions to solve the problem of energy conservation and emission reduction in freight industry. 2017 was the tenth anniversary of GAC Hino Motors Co., Ltd. It has proved its high reliability with impressive strength and also brought considerable benefits to users. 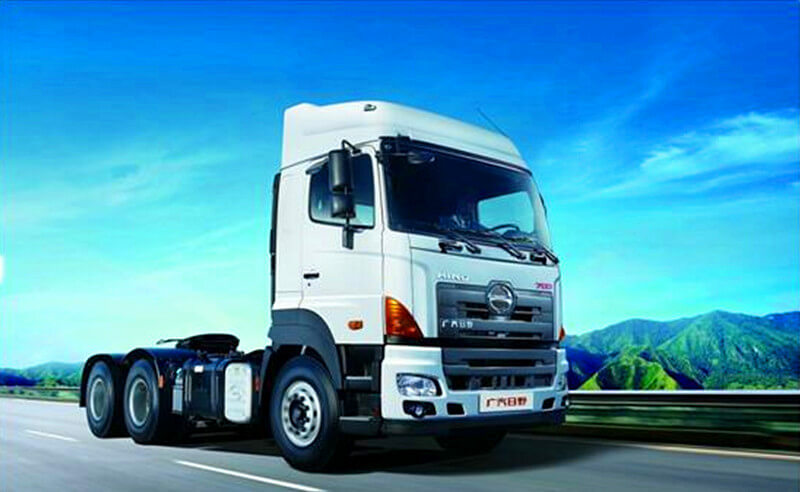 With the popularity of Hino in the users, it will be recognized by more and more users and win users’ hearts with excellent quality. As one of long-term fiberglass manufacturers of Hino, we take many measures to respond to the reliability, profitability and high quality of Hino. We have been actively proposing to reduce the procurement cost of fiberglass car parts. We propose the VA/VE proposal several times a year without affecting the quality standard of the fiberglass auto parts. And We have contributed to the technology upgrade and product upgrade of domestic heavy truck products. Besides, we can also manufacture fiberglass motorcycle parts, like race fairings, we know how to fiberglass motorcycle fairings and can provide racing solution and car body construction. 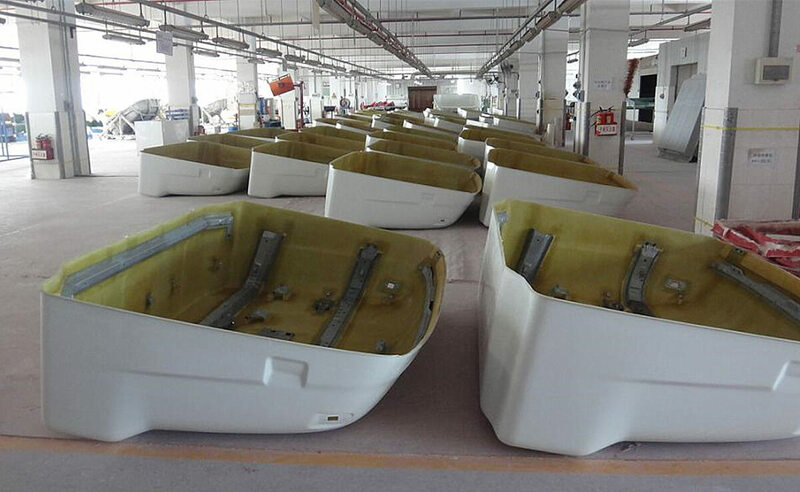 Besides white fiberglass fairing, we successively developed red roof fairing, purple fiberglass fairings, many kinds of tractor fiberglass bumpers and so on. With the development of the national economy, the closed van has been supported by the policy, and multi-axle vehicle and combination vehicle have become the state-encouraged models. The fiberglass production capacity of these types of vehicles is bound to develop rapidly. Now oil is very tight and oil prices are rising. In the face of these pressures, reducing fuel consumption has become an important factor for users to choose their fiberglass cars and for car manufacturers to produce vehicles. These factors will create more space for the development of the fairing fiberglass.